2015-04-22 2015-06-10 thesustainableinvestorLeave a Comment on The Internet of Things to Slay Energy Vampires? The Internet of Things to Slay Energy Vampires? Gartner’s calling it the most hyped technology of 2014. Cisco anticipates it to grow to a $19 trillion industry by 2020. And tech titans GE, IBM, Facebook, and HP have embraced it as the cornerstone of future business strategy. 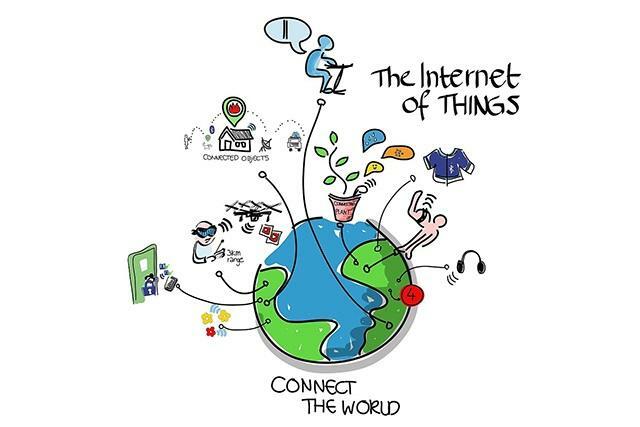 Otherwise referred to as the IoT, the Internet of Things is the notion of connecting just about any apparatus to the Internet, or to each other, with the flip of a switch. Think broadly here: automobiles, computers, telephones, coffee makers, washing machines, the jet engine of an airplane…the list goes on. The Internet of Things is one gigantic network of things. Hence the name. It’s Monday morning and your alarm beeps at 6:30 AM. Said alarm simultaneously notifies the lamp next to your bed to illuminate your bedroom, your coffee maker in the kitchen to begin brewing, your television to power on for the morning news, and the iron in your living room to heat up. You proceed to iron your shirt, catch up on the news, and drink your coffee. Turning your lamp off, indicating you are about to leave the house, notifies your car in the driveway to start. Not only does your car start, but your car also begins researching traffic on all streets between home and work. By the time you enter your car, the vehicle has ascertained the exact route that will deliver you to your place of employment in the fastest manner. Sensing heavy traffic, an email can automatically be sent to your colleagues, indicating exactly how many minutes late you will be for your Monday morning meeting. Every single step in your morning routine is the consequence of a signal from one device speaking to another. Human error has been eradicated and efficiency flourished. Corporations that fail to integrate the Internet of Things into their respective business models should be prepared to emerge about six steps behind the rest of their industry in a few years’ (in some cases, months’) time. Importantly, companies can leverage the Internet of Things to aid in implementation of sustainability. IoT has the ability to decrease the waste of resources, while simultaneously increasing both utilization and efficiency. If companies use IoT to precisely measure the exact time and quantity of the need for a certain resource, processes will be streamlined, customer satisfaction heightened, and costs saved. The reality of the matter is that most of our applications are consuming energy even when switched “off”. Turning off an appliance does not automatically curtail the use of energy. If an appliance is still plugged into a socket, energy consumption is simply slowed. 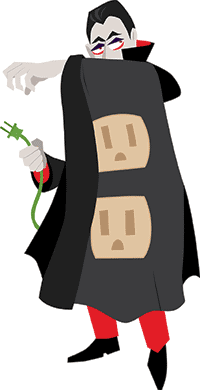 Vampire electronics is the term given to appliances and devices that are switched “off”, but are still plugged in to the grid and thus still using energy. According to the U.S. Department of Energy, vampire electronics are responsible for 5-10% of the average U.S. household’s energy consumption, a figure expected to double by 2020 unless preventative measures are taken. The Internet of Things can slay the vampires. IoT can anticipate when consumers need or do not need their electronics. When you are out of the house, your television could be completely off, only to be switched to stand-by mode at the exact moment your car enters the driveway. Amazon is making this a reality with its new DASH buttons. In a mission to wire our households and streamline the customer shopping experience, the company is enabling those who subscribe to Amazon Prime the ability to prearrange orders. A customer can determine, for example, that he/she would like two bottles of tide detergent every time he/she pushes the button. Subsequent to pressing the button, Amazon places the order and sends a text message to the customer’s phone (allowing ease of cancellation). The customer has saved a trip to the store, and will likely never run out of detergent again. BIG DATA MEETS THE INTERNET OF THINGS. Last month, we examined Big Data. In 2011, Moneyball taught the average movie-goer about the massive opportunity offered by an increasing availability of large arrays of data. Moneyball taught the world that analyzing data could lead to a collection of decisions – decisions that appeared incorrect in isolation, but in aggregate produced a winning solution. The simple truth is that 90% of the data in the world today was created in the last two years (IBM). Big Data can answer some big questions. – The Sustainable Investor, 03-08-2015. Big Data is imperative for the efficacy of the Internet of Things. The IoT offers the potential for our devices to speak to each other. That being said, without the ability to interpret and analyze streams of data, communication between devices would be faulty. A company that successfully implements the IoT into business architecture must first be astute in analytics. Big Data is the necessary engine that drives the Internet of Things. THE INTERNET OF THINGS IS NOT FOOLPROOF. One of the chief barricades to widespread adoption of the Internet of Things is ascertaining which applications will generate a return on investment. In other words, IoT can be tremendously costly. In cities, infiltrating the infrastructure with sensors is expensive. The analytics which allow companies to interpret data are complex – and expensive. But the biggest issue may, in fact, be privacy. Security. Will we reach a point where someone is able to hack into your microwave and consequently obtain access to your personal data? Can corporations remain secure? What does this mean for insider trading? The benefits outweigh the costs. For now, anyway. Moreover, there is serious future potential. Curtailment of vampire drain is just low hanging fruit. The biggest potential for IoT is the sharing of resources and therefore the decrease of waste. Cloud computing is one example of a shared resource that successfully exists today. ZipCar proves the cost savings that arise from resource sharing of vehicles. UberPool provides tremendous energy efficiency by allowing customers to share rides. Resource sharing is being embraced by a multitude of companies and individuals as innovative products and services come to life. But what’s most exciting is the potential innovation that still exists. Space could be saved. Reserved parking spots could be shared if cars could automatically talk to each other indicating location and availability of parking space. Gasoline could be saved. If parking meters could talk to cars, or cars could talk to each other, one need not waste time nor energy driving around looking for parking. Any pricing structure could become more efficient. Restaurants, for example, could use IoT to increase or decrease prices based on purchasing activity. If supermarkets had more exact indications of customer needs, or advance access to grocery lists, waste of food could be severely curtailed. Perhaps in the next decade, while you’re at work, some stranger will be using your kitchen. Previous Can Wall Street Embrace a Company Attempting to Serve Two Masters? 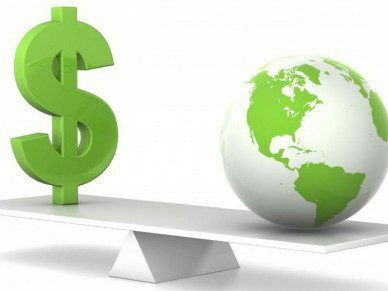 Next M&A: CSR Nightmare or Dream?